A new M.2 NVMe SSD from Corsair and the fastest SSD they ever had, the Corsair Force MP500 Series M.2 SSD NVMe a definitely rival with Samsung 960 Pro in terms of speed and value. Corsair Force Series MP500 M.2 is powered with Phison PS5007-E7 NVMe controller and has a PCIe Gen.3 x4 M.2 2280 interface, the speed for these SSD is up to 3GB/s sequential read and up to 2.4GB/s sequential write 4x faster than SATA 3.0 SSD. The endurance test for these SSD is up to 349 (TBW) Terabytes Write and backed with 3-year warranty. Also based from Corsair Website the minimum requirement is Windows 10 and Mac OS X. You can buy these new SSD from Corsair website or on ebay. The prices are the following 120GB is $110, 240GB is $170 and 480GB is $325. If you find this article helpful, please share and like our Facebook Page (https://facebook.com/GamingPH/). A new M.2 NVMe SSD from Corsair and the fastest SSD they ever had, the Corsair Force MP500 Series M.2 SSD NVMe a definitely rival with Samsung 960 Pro in terms of speed and value. Corsair Force Series MP500 M.2 is powered with Phison PS5007-E7 NVMe controller and has a PCIe Gen.3 x4 M.2 2280 interface, the speed for these SSD is up to 3GB/s sequential read and up to 2.4GB/s sequential write 4x faster than SATA 3.0 SSD. The endurance test for these SSD is up to 349 (TBW) Terabytes Write and backed with 3-year warranty. Also based from Corsair Website the minimum requirement is Windows 10 and Mac OS X. You can buy these new SSD from Corsair website or on ebay. The prices are the following 120GB is $110, 240GB is $170 and 480GB is $325. 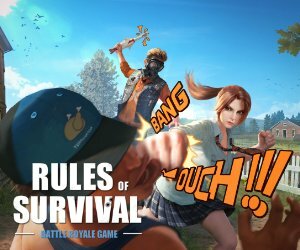 If you find this article helpful, please share and like our Facebook Page (https://facebook.com/GamingPH/).